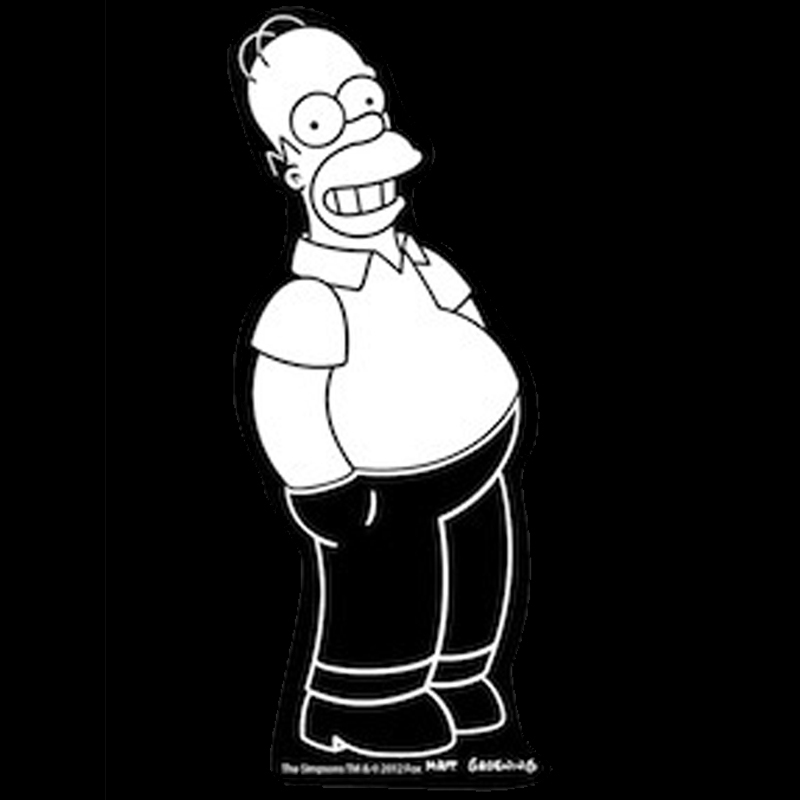 Homer Simpson is the coolest airhead dad ever!!! There no better companion to ride along with you on the streets, well not really but you get the point. This is an officially licensed premium clear sticker with white printing, simply pull of the package and stick to the window of your car! Homer stand approx. 5.5" when applied Also looks great on notebooks, binders, and laptops!